Take the magnifying glass test on our photo paper calendars! Your favourite photographs throughout the your! The practical square format makes mixing square, round, portrait and landscape pictures easy. 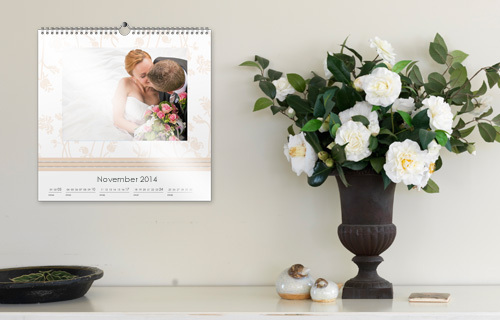 Our great variety of calendar templates, designs and backgrounds help you create a unique decorative wall calendar with your own photographs. 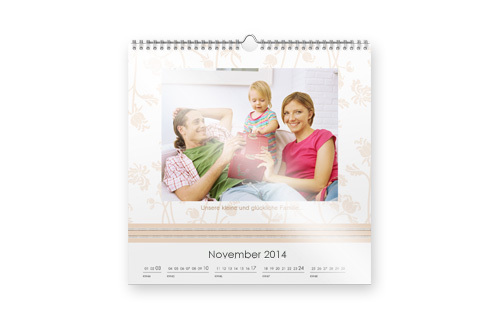 Hint: You can freely set the starting month, making photographic calendars an ideal gift idea all year around.